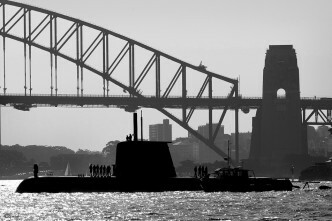 Andrew Davies’ post yesterday on the second Coles report is absolutely right: the fundamental issues don’t lie with the Collins design itself but with the poor management of the complex system that determines the maintenance and manning of the submarines. Andrew is also right that if those issues can be resolved, there could be very significant efficiencies involved in extending the Collins’ life of type. 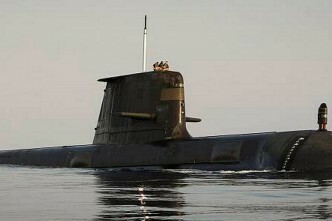 However, as Andrew also notes, there is no certainty that those issues are being resolved or will be in future. As a result, there is a risk that the extension option will simply be throwing good money after bad. The question then becomes how different possible approaches going forward compare in terms of their consequences if those problems are not fully or satisfactorily addressed. In other words, what needs to be analysed are the risks under alternative approaches for taxpayers (both financially and in terms of our defence capability) and how those risks vary with the extent to which we can or cannot address the systemic problems Andrew (and Coles) notes. There are tools available to analyse such problems. One such is the notion of net present value (NPV). An example shows how it might work, albeit at the obvious cost of extreme simplification. We assume that the options are to extend the Collins life of type and defer a replacement, or retire the Collins and bring a replacement forward. For this simple illustrative model we ignore the complex program management issues that either would entail, and the numbers are purely indicative. Given those assumptions, we can calculate the NPV for a given probability of solving the management problems. Of course, what might be said—with a considerable element of truth—is that if we can’t address those issues, it isn’t easy to think of options worth pursuing. In fact, even if the probability of solving the problems is 70 percent, committing to the extending life of type option has a negative NPV, but so has the accelerated replacement counter-option. 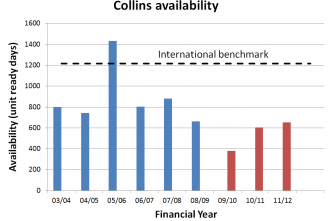 This is shown in the table, where the numbers in the two right hand columns are the NPVs for each option under assumptions about the probability (left-hand column) of dealing with the problems that have reduced Collins’ availability. Accelerating replacement is the ‘least bad’ option when the probability of solving the problems that have beset Collins is less than 50%; but even then, life extension only yields non-negative NPV when that probability is 80%. Ultimately, if we can’t maintain the Collins cost-effectively, we’ll presumably have much the same problem with its replacement. But the options, and their payoffs under alternative assumptions about our future sustainment efficiency, need to be rigorously evaluated in terms of their vulnerability to that occurrence. The mere fact that if we did address the problems Andrew notes, life extension would be ‘in the money’ is not enough to ensure that it is an option worth going for.